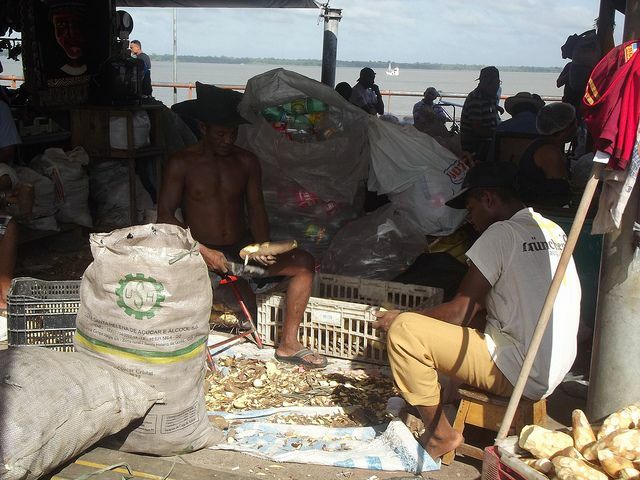 BELÉM, Brazil , Nov 5 2013 (IPS) - South America has gone from the world’s granary to the site of innumerable international infrastructure, energy and mining megaprojects. It is now facing a new dilemma: bolstering the economy with the promise of reducing inequality, in exchange for social and environmental costs that are taking their toll. The old developmentalist model is back. South America has grown, and with that growth has come rising demand for energy, bridges, roads and minerals – just as demand has grown in other emerging economies that today see this region as the new frontier in terms of supplies of strategic raw materials. Latin America “has difficulties in digesting its own development…what are the traps, what are the alternatives?” Maria Amélia Enriquez, assistant secretary of industry, trade and mining in the Brazilian state of Pará, told IPS. Pará, in the extreme north of Brazil, forms part of the Amazon rainforest, which is shared by Brazil, Colombia, Bolivia, Ecuador, Peru, Guyana, Venezuela and Surinam, where 320 major infrastructure works are planned for the next 20 years, according to João Meirelles, director of the Peabiru Institute, a nonprofit that seeks to generate value for the conservation of the biological and cultural diversity of the Amazon jungle. Hydroelectric dams comprise more than one-third of all the megaprojects in Brazil. In the basin of the Tapajós river, a major tributary of the Amazon river that runs through the states of Pará, Amazonas and Mato Grosso, 42 dams are planned, including five large ones. “We’re talking about an annual investment of at least 50 billion reals [some 23 billion dollars], dominated by at least 10 companies, including the Brazilian firms Camargo Corrêa and Odebrecht,” said Meirelles. The mushrooming of megaprojects can be seen throughout the region – ports, roads, freeways, waterways, mining projects, agribusiness and steelworks. These issues were discussed at an Oct. 26-28 workshop on megaprojects for journalists organised by the IPS news agency and the U.S.-based Mott Foundation in Belém, the capital of Pará. The region’s new transnational corporations, such as Brazil’s Odebrecht, are key players in the boom in megaprojects in the region, which receive financing from both private and public sources, in particular Brazil’s National Bank for Economic and Social Development (BNDES). In Venezuela, the company is involved in three major infrastructure projects. The Tocoma dam is the last of the four hydropower plants to be built to harness the waters of the Caroní river, the second-biggest river in Venezuela, in the south of the country. The Nigale suspension bridge over Lake Maracaibo in northwest Venezuela, to be completed in 2018, will be the third-longest in Latin America, and the project includes the construction of 11 kilometres of roads and railways and three artificial islands. The Mercosur bridge, which will be the third bridge over the Orinoco river, is planned for 2015, to link southern and central Venezuela. It will be the second-largest bridge in Latin America. According to the Venezuelan government, 30 major infrastructure works are in progress, as part of the 2013-2019 “Fatherland Plan”, with a total investment of 80 billion dollars. “Are we looking at the evolution of late capitalism?” Wagner wondered. In Brazil’s Amazon region, the highest-profile and most controversial megaproject is also in Pará: the Belo Monte hydroelectric dam, which will flood more than 500 square km of jungle and displace over 16,000 people. The dam, on the Xingú river, will have an installed capacity of 11,233 MW and is considered essential by the government to supply Brazil’s energy needs. A large part of the energy generated by the dams in the Amazon rainforest will be used by industry. Several industrial corporations are interested in investing in the construction of more dams, according to Meirelles, like the U.S.-based aluminium giant Alcoa and Brazil’s Votorantim Group, which has operations in the cement and concrete, mining, metallurgy and pulp and paper industries. “The question is who ends up with the natural wealth extracted from the Amazon, and who benefits from these projects,” said Gilberto Souza, professor of economy at the Federal University of Pará (UFPA). The expansion of the Vila do Conde port in the Pará city of Barcarena will improve the transport of aluminium and its raw materials, as well as the export of grains from central Brazil. But it will also displace several riverbank neighbourhoods. With the new hydroelectric dams, Pará will produce half of the energy consumed in this country of 200 million people. A large proportion of the minerals produced in the state, which is rich in minerals but has the worst development indices in the country, goes to China, the world’s biggest consumer of iron ore, Souza noted. The population of Altamira, the closest city to the Belo Monte dam, grew 50 percent in two years. As a result, the deficit in healthcare, education and housing grew, and violent crime and prostitution soared. The area is facing problems like increased deforestation, the deterioration of water quality, and a reduction in the river populations of fish, a staple of the diet of local communities. 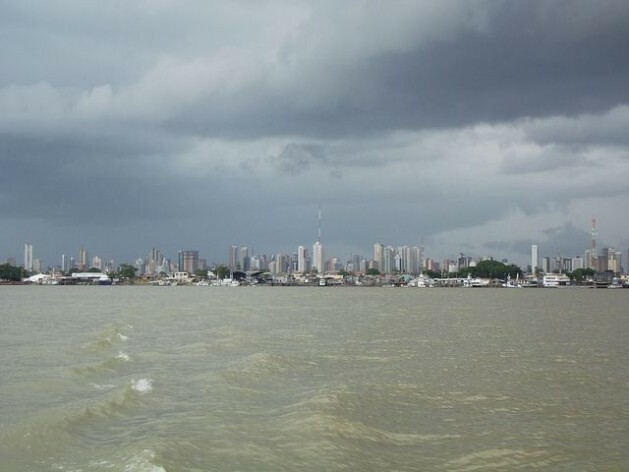 Ironically, the region that will supply electricity to half of Brazil suffers frequent blackouts, Fabiano de Oliveira, an activist with the Movement of People Affected by the Altamira Dams, told IPS. Oliveira and other people living in communities affected by megaprojects complain that they have not been duly consulted. Resistance movements are growing, but they are facing “one of their biggest contradictions: many of the people who are being relocated are at the same time employed” on the Belo Monte construction site, he explained. Similar resistance has emerged against two major works in Chile. The HidroAysén project in the Patagonia wilderness in southern Chile involves the construction of five large hydropower dams in the most biodiverse area in the country. The 2,000-km transmission line required to carry electricity to the mining industry in the north will cross eight of the country’s 15 regions. But it will not supply any of them with energy. Work on the project has been suspended by court rulings. Further north, the Pascua Lama gold and silver mine, owned by Canada’s Barrick Gold corporation, straddles the border between Chile and Argentina in the Andes. Numerous lawsuits over water pollution and the destruction of two glaciers led to a legal decision in April to temporarily halt construction. The company announced on Oct. 31 that it would indefinitely suspend development of the Pascua Lama mine, due to cost-overruns and a sharp drop in the price of gold. In the Amazon region of Beni in Bolivia, indigenous communities are waiting for information on the impacts of the construction of the Cachuela Esperanza hydroelectric plant, with an installed capacity of 990 MW and a cost of two billion dollars, which will export electricity to Brazil. Environmentalists warn that the flooding of some 1,000 square km of land will cause environmental imbalances, besides displacing local communities. In Pará, José Etrusco, the manager of environment, safety and health in the Albras aluminium corporation, said big hydropower dams like Belo Monte represent the best cost-benefit ratio, even if they entail the relocation of native communities. “We have to do it, or we’ll be left in the dark,” he argued. In Colombia, the construction of a set of tunnels at the Alto de La Línea Andes mountain pass is generating another kind of controversy. The tunnels are essential to creating an east-west road connection, from Venezuela through Bogotá and on to Buenaventura, Colombia’s only Pacific ocean port. The route is the backbone of Colombia’s international trade, and provides a key outlet for Venezuela to the Pacific. But while the first tunnel is being completed, environmentalists have pointed out that since 1999, the National Geological Service has been warning about the danger of eruption of the nearby Machín volcano – something that wasn’t even taken into account in the environmental impact assessment. Forest engineer Paulo Barreto of Brazil’s Imazon institute said the question is “what is the real cost of these works?”: the environmental costs, such as the aggravation of climate change; socioeconomic costs, like the concentration of rural land ownership; and social problems in newly urbanised areas. “Who is going to pay the bill?” asked Barreto. UFPA professor of agrarian law José Benatti raised another question: who will employ the workers who have been drawn from other regions by the megaprojects, once the work is done? Pedro Bara, with WWF Brazil, proposed a methodology for analysing the long-term impacts of major infrastructure works as a whole, rather than on a project by project basis. As a foundation for that analysis, the WWF Living Amazon Initiative’s Infrastructure Strategy, which Bara heads, carried out an exhaustive study of the different Amazon ecosystems that must be conserved in order to prevent the biome from disappearing. That big-picture view, said Bara, should include regional planning, especially in sensitive shared areas like the Amazon rainforest. With reporting by Estrella Gutiérrez (Caracas), Constanza Vieira (Bogotá), Marianela Jarroud (Santiago) and Franz Chávez (La Paz).